They called the event ‘The New Wave’ — and that’s an appropriate name for the annual update on Springfield’s business and civic projects. Most just call this the ‘update meeting,’ and they’ve been staged for maybe six or seven years now. 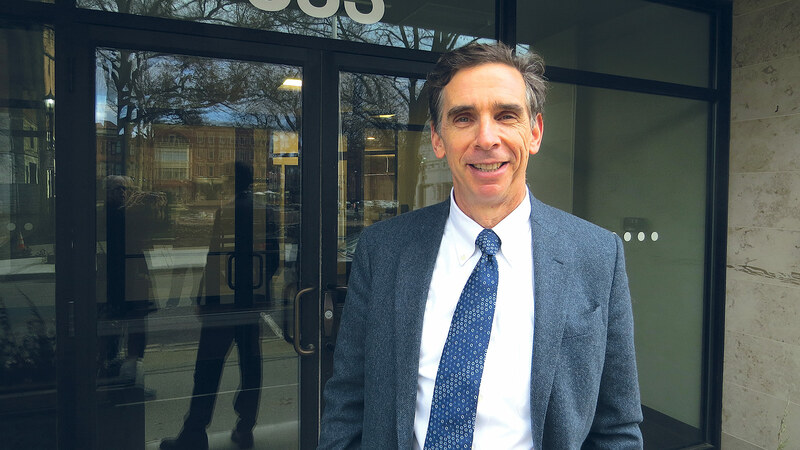 That timeline coincides with Kevin Kennedy’s arrival as the city’s chief Economic Development officer and his more aggressive approach to telling the city’s story. It’s also a stretch when there has been a much better story to tell. Which brings us back to the title of this year’s presentation. 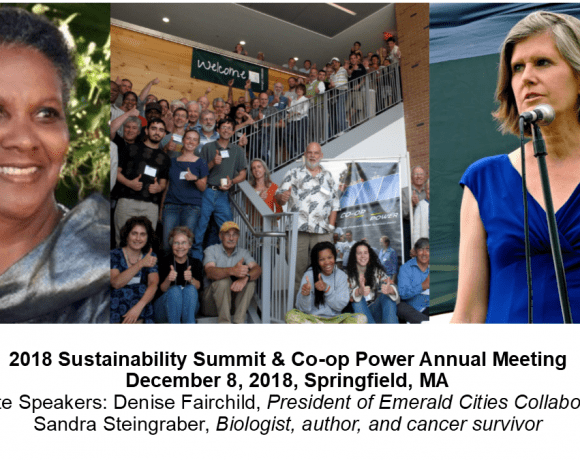 What’s been happening in Springfield over the past several years can truly be described as a wave — a $4.19 billion wave that is gathering momentum, and riders, as it moves. That number conveys the dollar value of business and civic projects since that fateful day in 2011 when a tornado roared through the city. 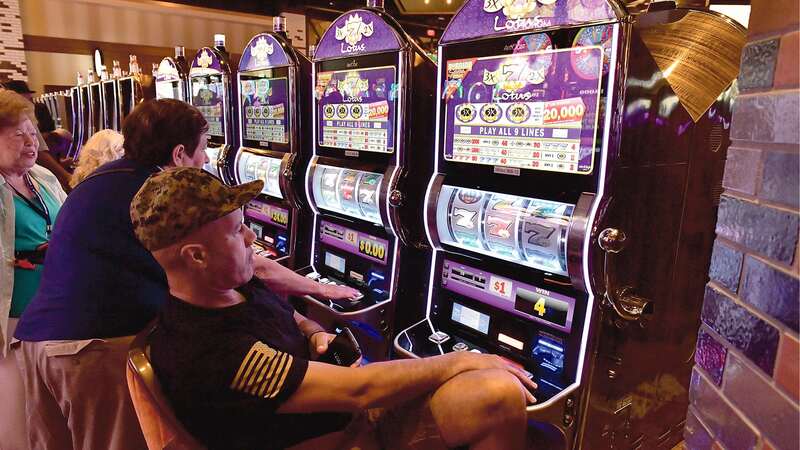 It’s an impressive number that, of course, includes MGM Springfield (almost a quarter of the total), CRRC, and several other nine- and eight-digit projects. But it also includes dozens, if not hundreds, of seven-, six-, and even five-digit projects that all add up — to a wave of positive energy. And while that number is impressive, perhaps the more meaningful one is $400.4 million. That’s the dollar amount for projects announced since the last of these update meetings, a number that reflects everything from Big Y’s $42 million distribution expansion to MassMutual’s $50 million in investments in Springfield; from the new $14 million Educare facility to the $14 million headquarters for Way Finders taking shape on the site on the old Peter Pan bus station; from the planned renovation of the Paramount ($41 million) to the soon-to-be-announced (we hope) plans to renovate the long-vacant Elm Street block. And we’re pretty sure it doesn’t include a host of cannabis-related businesses now in the talking stages and a planned hotel on the site of the old York Street Jail. This is what happens when a city gathers momentum and the attention of the development community. People want to be part of what’s happening. People want to ride the wave. It’s a refreshing change from a dozen years ago when people were talking about the lights going out in this city with doubts about when and if they would go back on. They have gone back on — and in a big way. And there should be even more evidence of this at the next update meeting. 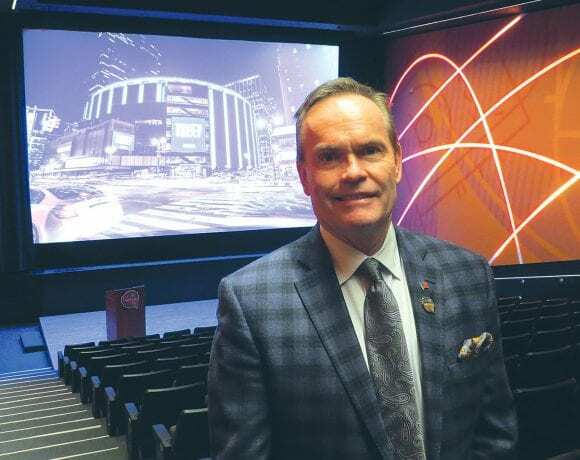 John Doleva shows off the Basketball Hall of Fame’s renovated theater, one of many improvements at the hall. There are probably other names for it, but that’s how those at the Greater Springfield Convention & Visitors Bureau (GSCVB) refer to the post-holiday winter stretch in this region. And that phrase pretty much sums it up. Area tourist attractions and hospitality-related businesses are indeed needy at that time — far more than at any other season in this region. Traditionally, it’s a time to hold on and, if you’re a ski-related business, hope for snow or enough cold weather to make some. 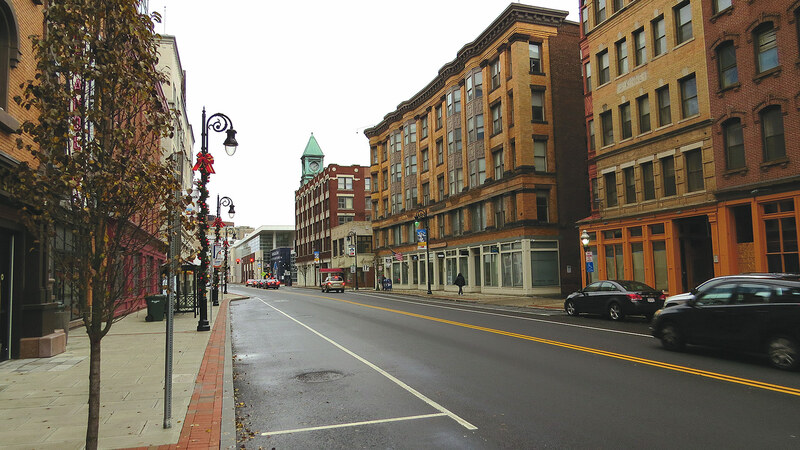 But as the calendar prepares to change over to 2019 — and, yes, the needy season for many tourism-related businesses in the 413 — there is hope and optimism, at least much more than is the norm. 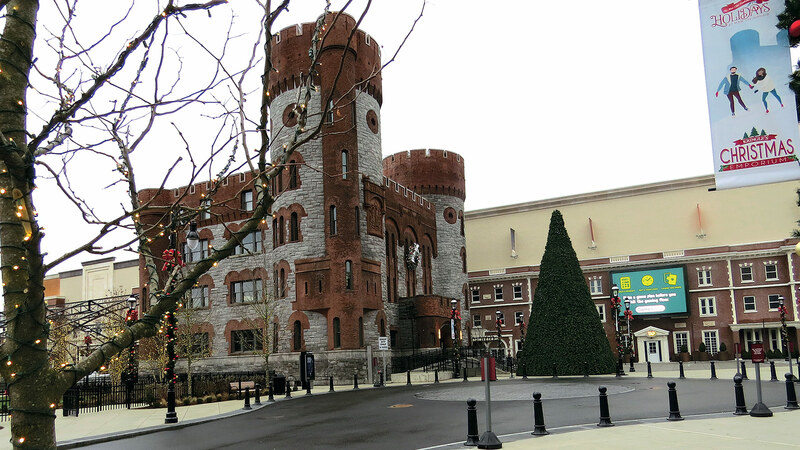 This needy season, MGM Springfield will be open, and five months into its work to refine and continuously improve its mix of products and services. And there will also be the American Hockey League (AHL) All-Star Game, coming to Springfield for the first time in a long time on Jan. 28 (actually, there is a whole weekend’s worth of activities). There will be a revamped Basketball Hall of Fame, a few new hotels, and some targeted marketing on the part of the GSCVB to let everyone know about everything going on in this area. So maybe the need period won’t be quite as needy as it has been. 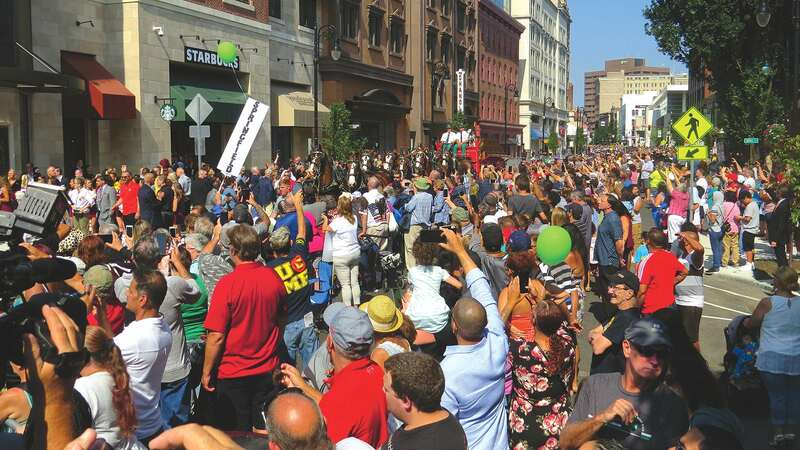 And if the outlook for the traditionally slow winter months is brighter, the same — and more — can be said for the year ahead, said Mary Kay Wydra, president of the Greater Springfield Convention & Visitors Bureau, noting that expectations, based in large part on the last few quarters of 2018 and especially the results after MGM opened on Aug. 24, are quite high for the year ahead. Elaborating, she said MGM is helping to spur new development in this sector — one new hotel, a Holiday Inn Express, opened in downtown Springfield in 2018, and another, a Courtyard by Marriott, is set to open on Riverdale Street in West Springfield — while also filling more existing rooms and driving rates higher. Indeed, occupancy rates in area hotels rose to 68.5% in October (the latest data available), up nearly 2% from that same month in 2017, and in August, they were up 5% (to 72.6%) over the year prior. Meanwhile, room revenue was up 4.6% in October, from $113 a night on average in this region to $119 a night, and in August, it went up 7.2%. And, as noted, MGM is just one of the reasons for optimism and a bright outlook in this sector, Wydra said. 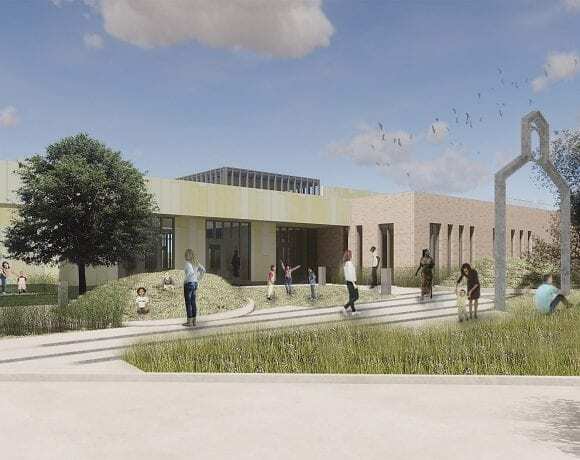 Others include the renovated hoop hall, yearly new additions at Six Flags, and the awesome drawing power of the Dr. Seuss museum on the Quadrangle. 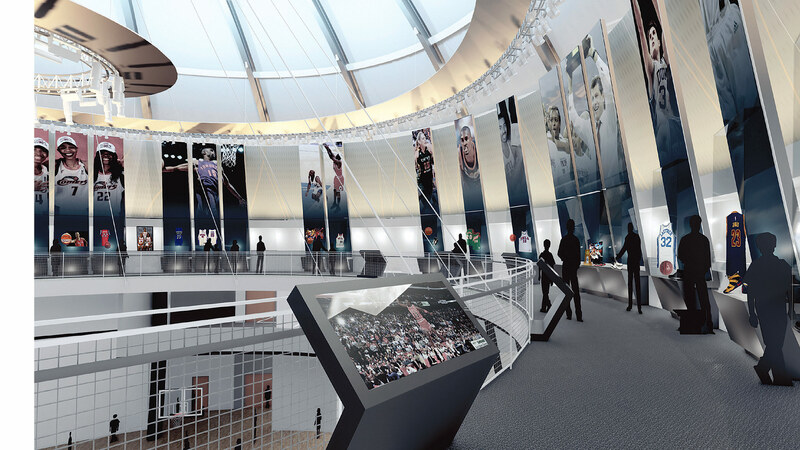 An architect’s rendering of the renovated third-floor mezzanine at the Basketball Hall of Fame, which includes the tributes to the inductees. For 2019, the outlook is for the needle to keep moving in the right direction, she said, noting that some new meetings and conventions have been booked (more on that later); Eastec, the massive manufacturing trade show, will be making its biennial pilgrimage to this region (specifically the Big E); the Babe Ruth World Series will again return to Westfield; and the AHL All-Star weekend will get things off to a solid start. John Doleva, president of the Basketball Hall of Fame and a member of the executive board of the GSCVB, agreed. 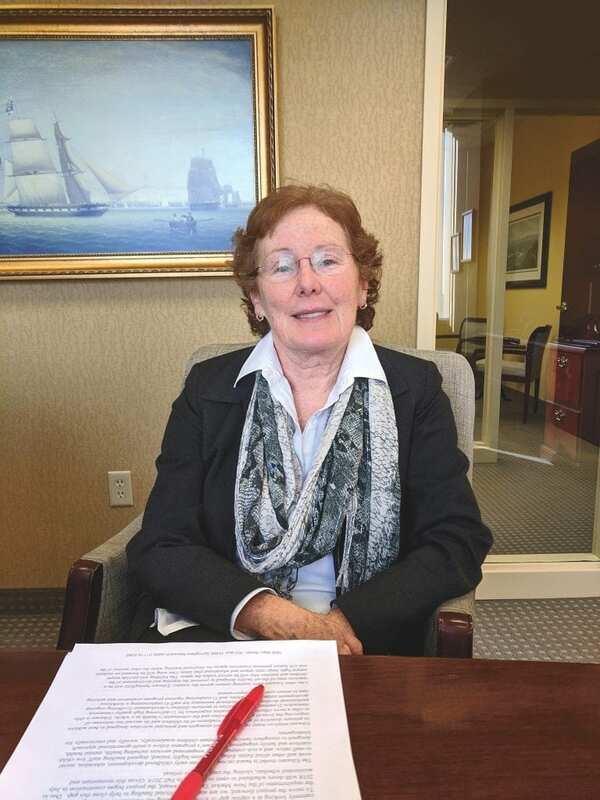 Doleva told BusinessWest that MGM opened its doors toward the tail end of peak season for the hoop hall — the summer vacation months. Therefore, it’s too early to quantify the impact of the casino on attendance there. But the expectations for the next peak season are quite high, he went on, adding that many MGM customers return several times, and the hope — and expectation — is that, on one or several of those return trips, guests will extend their visit far beyond the casino’s grounds. “Once people return a few times, they’re going to be looking for other things to do,” he said. “I definitely feel a sense of excitement and anticipation, and I’m definitely looking forward to next summer when it’s the high-travel season, and really get a gauge for what the potential MGM crossover customer is. 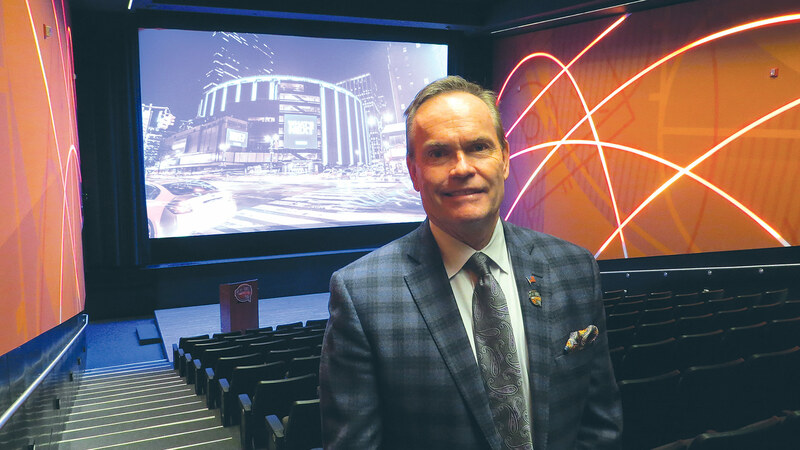 But MGM’s arrival is only one reason for soaring expectations at the hall, said Doleva, adding that the facility is in the middle of an ambitious renovation project that is already yielding dividends. Indeed, phase one of the project included an extensive makeover of the lobby area and the hall’s theater, and those steps have helped inspire a significant increase in bookings for meetings and events. 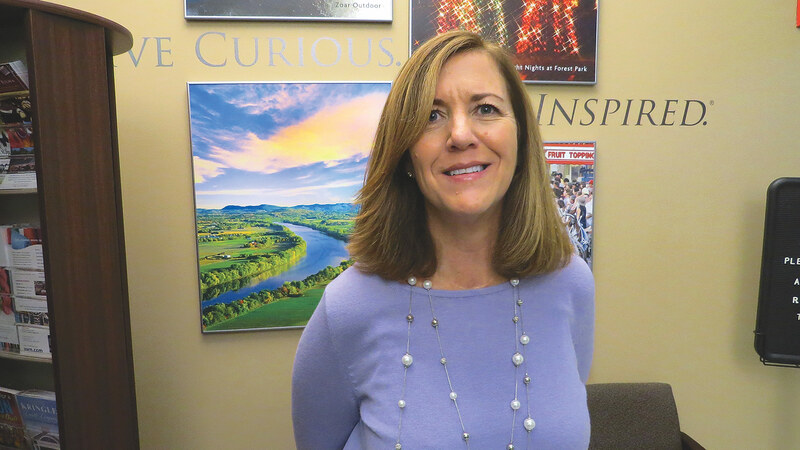 Mary Kay Wydra says 2019 is shaping up as a very solid year for the region’s tourism industry. Phase 2 of the project, which includes a renovation of the third-floor mezzanine, where the Hall of Fame plaques are, and considerable work on the roof of the sphere, will commence “any minute now,” said Doleva, adding that the work should improve visitation numbers, but, even more importantly, revenue and profitability. 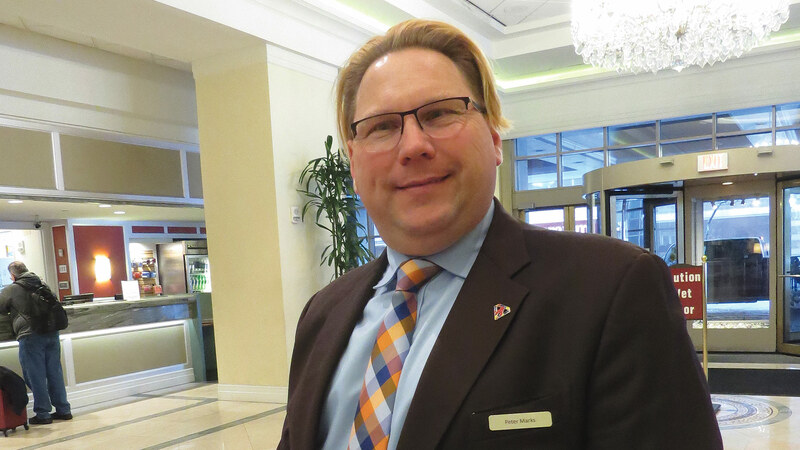 The improved numbers for the hall — and the optimism there concerning the year ahead — are a microcosm of the broader tourism sector, said Wydra, adding that a number of collaborating factors point toward what could be a special year — and a solid long-term outlook. It starts with the All-Star Game. The game itself is on a Monday night, but there is a whole weekend’s worth of activities planned, including the ‘classic skills competition’ the night before. Additional momentum is expected in May with the arrival of EASTEC, considered to be New England’s premier manufacturing exposition. 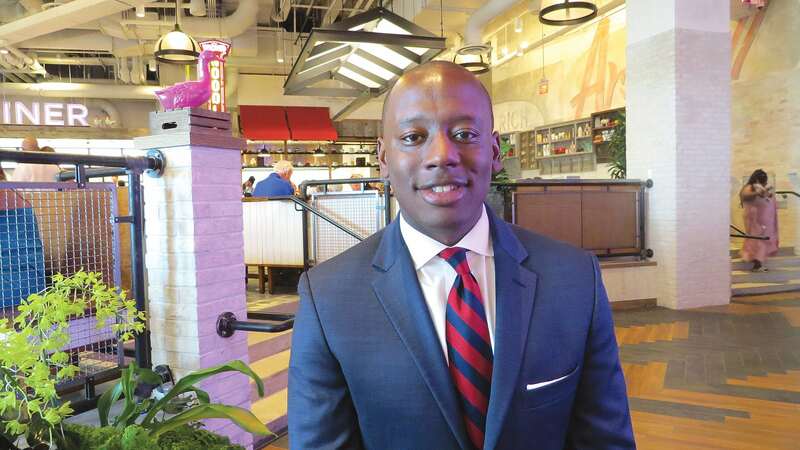 The three-day event drew more than 13,000 attendees last year, many of whom patronized area restaurants and clubs, said Wydra, adding that MGM Springfield only adds to the list of entertainment and hospitality options for attendees. The Babe Ruth World Series is another solid addition to the year’s lineup, she noted, adding that the teams coming into the area, and their parents, frequent a number of area attractions catering to families. Analysts say MGM Springfield has a far-reaching impact on the region’s tourism sector, including higher occupancy rates at area hotels and higher room rates. 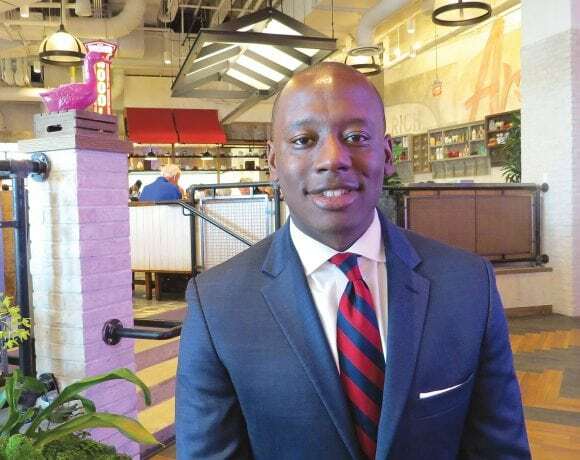 Meanwhile, the region continues to attract a diverse portfolio of meetings and conventions, said Alicia Szenda, director of sales for the GSCVB, adding that MGM Springfield provides another attractive selling point for the 413, which can already boast a host of amenities, accessibility, and affordable hotel rates. In June, the National Assoc. of Watch and Clock Collectors will stage its 75th annual national convention at the Big E, she said, an event that is expected to bring 2,000 people to the region. 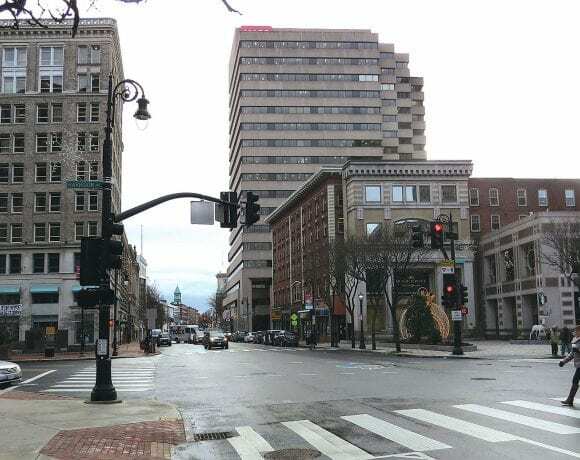 And later in the summer, the Professional Fire Fighters of Massachusetts will bring more than 900 people to downtown Springfield. Those attending these conventions and the many others slated during the year now have a growing list of things to do in this region, said Wydra, who mentioned MGM, obviously, but also the revamped Hall of Fame; Six Flags, which continues to add new attractions yearly (a Cyborg ride is on tap for 2019); and the Dr. Seuss museum, which is drawing people from across the country and around the world. This ‘Seuss factor’ is just one of a number of powerful forces coming together to bring the outlook for tourism in this region to perhaps the highest plane it’s seen. Pieces of the puzzle continue to fall into place, and together, they point to Western Mass. becoming a true destination. As noted, even the ‘need period’ is looking less needy. The rest of the year? The sky’s the limit. 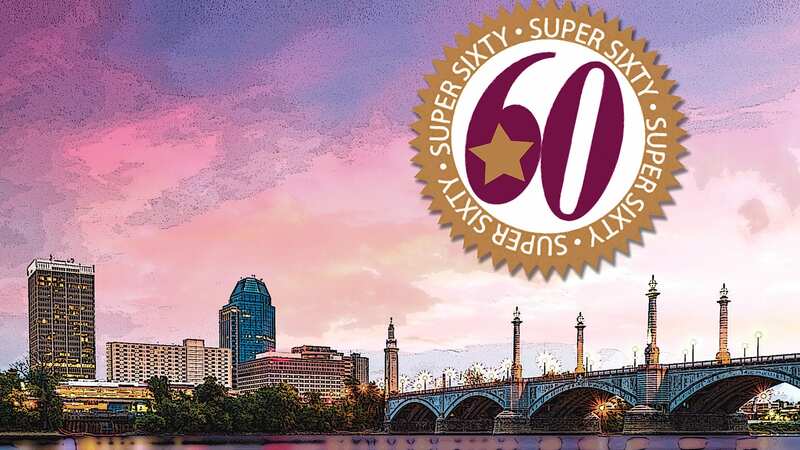 Launched nearly three decades ago, the Springfield Regional Chamber’s Super 60 program (originally the Fabulous 50 before it was expanded) has always acted like a giant telescope, bringing the breadth and depth of the region’s business community clearly into focus. And the 2108 lists are no exception. Businesses on the Total Revenue and Revenue Growth categories represent nearly every business sector — from healthcare to financial services, from marketing to dentistry, from construction to retail. There are some who have been hearing their names called at the Super 60 lunch for decades now, and others who will hear it for the first time. Overall, the lists put the region’s many strengths and immense diversity clearly on display. The Super 60 will be celebrated at the annual lunch on Oct. 26 at Chez Josef, starting at 11:30 a.m. 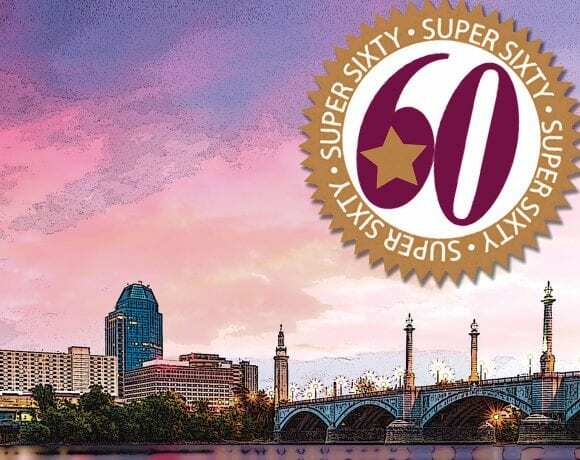 The Super 60 awards are presented by Health New England and sponsored by Farmington Bank, Wells Fargo Bank, the Republican, and Zasco Productions. WCA is a locally owned family business that has evolved from a hardware resale and service group in the ’70s and ’80s into a company that now focuses on lowering the total cost of technology and productivity enhancement for its customers. Boasting nearly 150 employees, Whalley carries name-brand computers as well as low-cost compatibles. 2. MARCOTTE FORD SALES INC. The dealership sells new Ford vehicles as well as pre-owned cars, trucks, and SUVs, and features a full service department. Marcotte has achieved the President’s Award, one of the most prestigious honors given to dealerships by Ford Motor Co., on multiple occasions over the past decade. It also operates the Marcotte Commercial Truck Center. Tighe & Bond is a full-service engineering and environmental consulting firm that provides a wide array of services, including building engineering, coastal and waterfront solutions, environmental consulting, GIS and asset management, site planning and design, transportation engineering, and water and wastewater engineering. Early in its history, A.G. Miller made a name in automobile enameling. More than 100 years after its founding in 1914, the company now offers precision metal fabrication; design and engineering; assembly; forming, rolling, and bending; laser cutting; punching; precision saw cutting; welding; powder coating and liquid painting; and more. Baltazar Contractors has been a family-owned and operated construction firm for more than 20 years, specializing in roadway construction and reconstruction in Massachusetts and Connecticut; all aspects of site-development work; sewer, water, storm, and utilities; and streetscape improvements. A member of the MassMutual Financial Group, Charter Oak been servicing clients for more than 125 years. The team of professionals serves individuals, families, and businesses with risk-management products, business planning and protection, retirement planning and investment services, and fee-based financial planning. 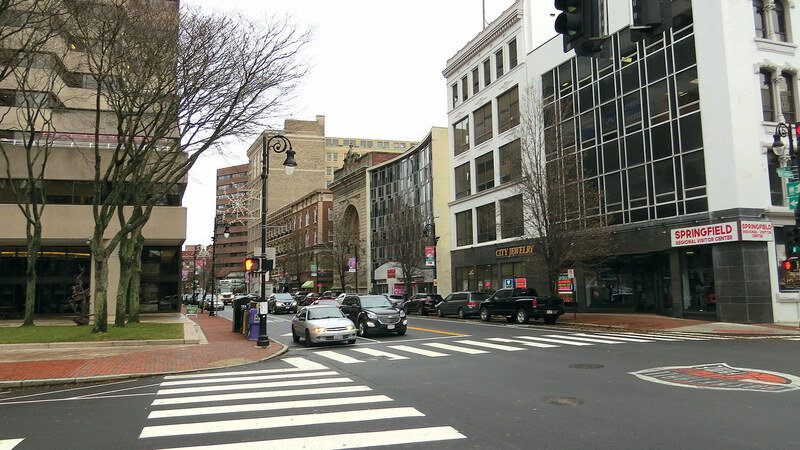 City Enterprise Inc. is a general contractor with a diverse portfolio of clients, including the Groton Naval submarine base, Westover Air Reserve Base, the Federal Aviation Administration, the National Park Service, the Army Corps of Engineers, and many others. 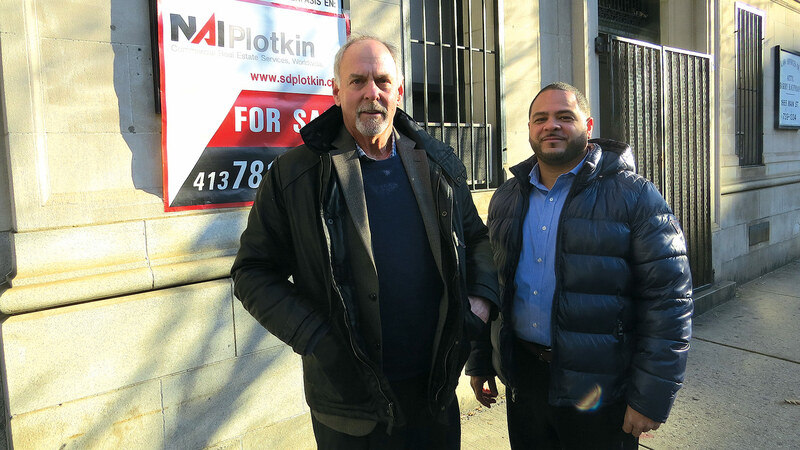 Founded in 1935 by Joseph Placek, Commercial Distributing Co. is a family-owned, family-operated business servicing more than 1,000 bars, restaurants, and clubs, as well as more than 400 package and liquor stores. Now in its third generation, the company continues to grow by building brands and offering new products as the market changes. Established in 1987 and founded by Thomas and Kathleen Veratti, Con-Test Inc. provides industrial hygiene and analytical services to a broad range of clients. Originally focused on industrial hygiene analysis, the laboratory testing division has expanded its capabilities to include numerous techniches in air analysis, classical (wet) chemistry, metals, and organics. DAVID R. NORTHUP ELECTRICAL CONTRACTORS INC.
David R. Northup Electrical Contractors Inc. is a family-owned and operated, full-service electrical, HVAC, and plumbing contractor. The company specializes in everything from installation and replacement to preventative maintenance; indoor air-quality work to sheet-metal fabrication. Freedom is a full-service credit union based in Springfield serving a wide range of business and consumer clients. Freedom has its main office on Main Street, with other offices in Sixteen Acres (Springfield), Feeding Hills, Ludlow, Chicopee, Easthampton, Northampton, Turners Falls, Greenfield, and the Roger L. Putnam Vocational Technical Academy. Futures provides occupational therapy, physical therapy, speech-language therapy, special education, nursing, mental health, and other related services to schools and healthcare facilities across the U.S. Founded in 1998, it continues to be managed by expert practitioners in their fields. GOVERNORS AMERICA CORP. – GAC MGMT. Co.
Governors America Corp. is a privately held engine-control company that provides complete design, development, production, and marketing capabilities for electro-mechanical and electronic devices that are used for engine control. The engine-control products are used in a wide range of industries, including generator set, material handling, marine propulsion, mining, locomotive, and off-highway applications. Governors America has developed an advanced line of electronic governing and fuel-control systems with accessories. Holyoke Pediatric Associates is the largest pediatric practice in Western Mass., serving patients from the Pioneer Valley at offices in Holyoke and South Hadley. The group medical practice comprises board-certified pediatricians, certified nurse practitioners, and more than 75 clinical, nutritional, and clerical support staff, and has served the healthcare needs of infants, children, and adolescents since 1971. Jet Industries Inc. is a leading design-build electrical, mechanical, communications, and fire-sprinkler contractor. 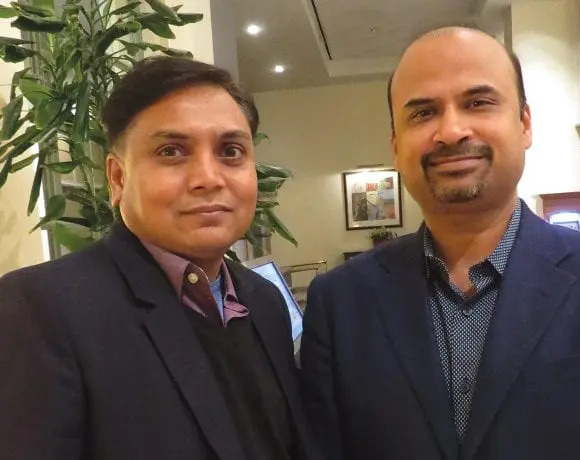 What began as a small, family-run oil company founded by Aaron Zeeb in 1977 has grown into one of the nation’s largest companies of its type, with more than 500 employees servicing projects all across the country. Founded in 1921, Kittredge Equipment Co. is one of the nation’s leading food-service equipment and supply businesses. It boasts 70,000 square feet of showroom in three locations. The company also handles design services, and has designed everything from small restaurants to country clubs to in-plant cafeterias. In business since 1979, Sulco Warehousing & Logistics specializes in public, contract, and dedicated warehousing. Lancer Transportation & Logistics is a licensed third-party freight-brokerage company that provides full-service transportation-brokerage services throughout North America. LOUIS & CLARK DRUG INC. Since 1965, Louis & Clark has been a recognized name in Western Mass., first as a pharmacy and later as a resource for people who need home medical equipment and supplies. Today, the company provides professional pharmacy and compounding services, medical equipment, independent-living services, and healthcare programs. Since 1976, Maybury Associates Inc. has been designing, supplying, and servicing all types of material-handling equipment throughout New England. Maybury provides customers in a wide range of industries with solutions to move, lift, and store their parts and products. A family-owned business since 1972, Notch Mechanical Constructors provides piping installation and repair services to facilities throughout Southern New England. Its team has the capacity to address process and utility piping challenges at any business within 100 miles of its locations in Chicopee and Hudson, Mass. O’REILLY, TALBOT & OKUN ASSOCIATES INC.
O’Reilly Talbot & Okun is a specialty geo-environmental engineering firm, specializing in asbestos management, brownfields redevelopment, environmental site assessment, indoor air quality and industrial hygiene, MCP compliance, vapor intrusion, geotechnical engineering, lead inspection, PCB assessment and management, and other services. PC Enterprises, d/b/a Entre Computer, assists organizations with procuring, installing, troubleshooting, servicing, and maximizing the value of technology. In business since 1983, it continues to evolve and grow as a lead provider for many businesses, healthcare providers, retailers, and state, local, and education entities. While still in high school, Delcie Bean founded Paragus IT in 1999, first under the name Vertical Horizons and then Valley Computer Works. 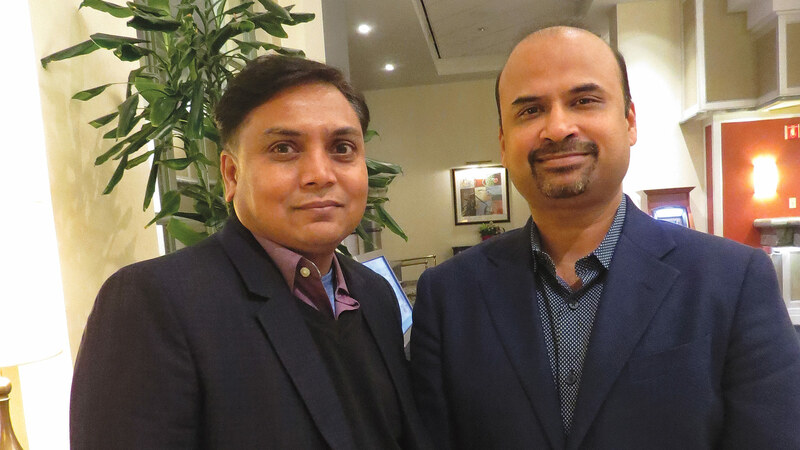 Under the Paragus name, it has grown dramatically as an outsourced IT solution, providing business computer service, computer consulting, information-technology support, and other services to businesses of all sizes. Rediker software is used by school administrators across the U.S. and in more than 100 countries, and is designed to meet the student-information-management needs of all types of schools and districts. For example, 100,000 teachers use the TeacherPlus web gradebook, and the ParentPlus and StudentPlus web portals boast 2 million users. Launched in 1958 by Ken Sanderson and Bruce MacLeod, Sanderson MacLeod invented the first twisted-wire mascara brush. Today, it is an industry leader in the making of twisted wire brushes for the cosmetics industry, the healthcare sector, the OEM-cleaning brush market, the firearm-cleaning brush market, and many others. TigerPress is an award-winning, ISO 9001 & FSC-certified custom printing company featuring the latest digital prepress and printing technology. The company manufactures folding cartons, marketing and educational printed products, fulfillment services, and indoor and outdoor signs. Troy Industries was founded on the principle of making reliable, innovative, over-engineered products that function without question when lives are on the line. Troy is a leading U.S. government contractor that designs and manufactures innovative, top-quality small-arms components and accessories and complete weapon upgrades. United provides a full range of staffing services, including temporary staffing and full-time placement, on-site project management, and strategic recruitment in the Springfield, Hartford, and Northampton areas, specializing in administrative, professional, medical, and light-industrial staff. Founded in the early 1980s, Westside Finishing is a family-owned business specializing wide array of services, including silk screening, conveyorized powder coating, batch powder coating, pad printing, trucking, sub-assembly, final packaging, and more. Five Star provides school-bus transportation services to school districts and charter schools throughout Western Mass. From its launch a half-century ago with a single bus route, the company currently services more than 12 school districts and operates a fleet of more than 175 vehicles. Baystate Blasting, Inc. is a local family-owned and operated drilling and blasting firm located in Ludlow that began in 2003. Services include site work, heavy highway construction, residential work, quarry, portable crushing, and recycling, and it is an ATF-licensed dealer of explosives as well as rental of individual magazines. In-Land Contracting is a general contractor specializing in garages, exterior work, parking lots, and other types of work. Founded in 1913, American Pest Solutions is a full-service pest-solutions company. With two offices, in Springfield and Hartford, Conn., the company serves residential and commercial customers, offering inspection, treatment, and ongoing protection. Baystate Restoration Group is a 24-hour emergency service-restoration company specializing in all areas of restoration and insurance claims due to fire, water, smoke, mold, storm, and water damage to homes and businesses. BURGESS, SCHULTZ & ROBB, P.C. Burgess, Shultz & Robb is a full-service accounting firm specializing in accounting, auditing, tax, and business planning for closely held businesses and nonprofit organizations, trusts, and estate services. Center Square Grill serves up eclectic American fare for lunch and dinner, as well as an extensive wine and cocktail selection and a kids’ menu. The facility also has a catering service and hosts events of all kinds. Founded in 1992, Chicopee Industrial Contractors is an industrial contracting firm specializing in all types of rigging, heavy lifting, machinery moving, machine installation, millwrighting, machine repair, heavy hauling, plant relocations, concrete pads, foundations, and structural steel installations. Courier Express is committed to providing custom, same-day delivery solutions for any shipment. Its focal point is New England, but its reach is nationwide. The company strives to utilize the latest technologies, on-time delivery, customer service, and attention to detail to separate itself from its competitors. E.F. Corcoran Plumbing and Heating, founded in 1963, is a full-service plumbing and HVAC contractor. Services include 24-hour plumbing service, HVAC system installs, design-build services, energy retrofits, system replacements and modifications, gas piping, boilers, and more. Proshred is an industry leader in on-site shredding and hard-drive destruction. The company offers a number of services, including one-time paper shredding, ongoing shredding service, hard-drive destruction, product destruction, document scanning, and drop-off shredding. EWS PLUMBING & HEATING INC.
EWS Plumbing & Heating Inc. is a family-owned and operated company that designs and installs plumbing and HVAC systems. A full-service mechanical contractor, the company specializes in both residential and commercial applications. Since 1985, Fletcher Sewer & Drain has provided service to homeowners as well as municipalities and construction companies for large pipeline jobs. From unblocking kitchen sinks to replacing sewer lines, Fletcher keeps up to date with all the latest technology, from high-pressure sewer jetters to the newest camera-inspection equipment. Gallagher Real Estate is an independent brokerage that operates in Hampshire and Hampden counties in Massachusetts and Hartford County in Connecticut, and specializes in both residential and commercial properties. 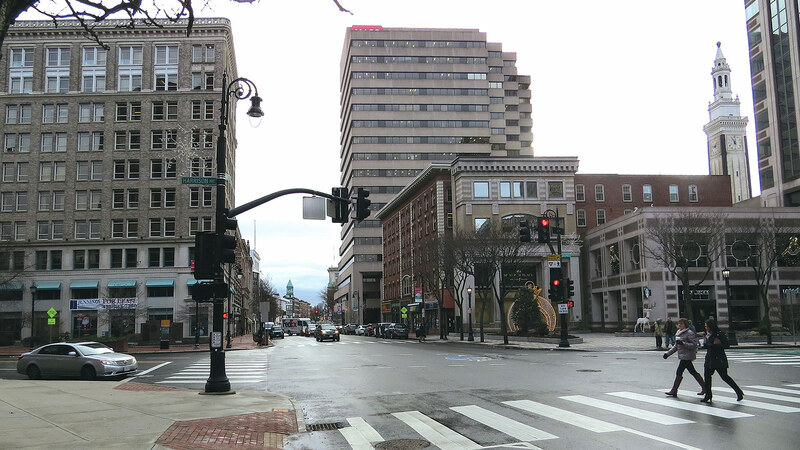 The company has offices in Holyoke, South Hadley, East Longmeadow, and Springfield. Gleason Johndrow Landscape & Snow Management offers a wide range of commercial and residential services, including lawnmowing, snow removal, salting options, fertilization programs, landscape installations, bark-mulch application, creative plantings, seeding options, pruning, irrigation installation, maintenance, and much more. Serving the Western Mass. area for nearly a quarter century, GMH Fence Co. is one of the largest fence companies in the region. The company offers fence installations from a selection of wood, aluminum, steel, and vinyl fencing for residential and commercial customers. KNIGHT MACHINE TOOL CO. INC.
Knight Machine & Tool Co. is a metalworking and welding company that offers blacksmithing, metal roofing, and other services from its 11,000-square-foot facility. L&L Property Services LLC is a locally owned company providing an array of property services, including lawn care, snow removal, sanding, excavations, patios and stonewalls, hydroseeding, and more. A full-service marketing firm, Market Mentors handles all forms of marketing, including advertising in all media, media buying, graphic design, public relations, and event planning. Founded in 1993, Moran Sheet metal is a family-owned company specializing in custom fabrication and installation of HVAC systems for commercial clients across Western Mass. and into Central Mass. Northeast is a full-service IT company providing business services, managed IT services, backup and disaster recovery, and cloud services, as well as a full-service repair shop for residential customers, including file recovery, laptop screen replacement, PC setups and tuneups, printer installation, virus protection and removal, and wireless installation. RAYMOND R. HOULE CONSTRUCTION INC.
Raymond R. Houle Construction specializes in commercial and industrial construction. Services include general contracting, construction management, and an integrated construction-assistance program. Rodrigues Inc. operates Europa Restaurant in Ludlow, specializing in Mediterranean cuisine with an interactive dining experience, presenting meals cooked on volcanic rocks at tableside. Europa also offers full-service catering and banquet space. Second Wind Consultants is a Better Business Bureau-accredited business debt-relief consulting firm that helps companies avoid bankruptcy or litigation through a debt workout. Skip’s Outdoor Accents specializes in a wide range of outdoor products, including sheds and garages, gazebos, swingsets, outdoor furniture, yard and garden products, weathervanes and cupolas, indoor furniture, playhouses, and pet structures. Summit Careers provides temporary, temp-to-hire, and direct-hire services for clients in a variety of sectors, including light industrial, warehouse, professional trades, administrative, accounting, and executive. Taplin has been servicing the local area since 1892, and is an authorized dealer for parts, equipment, service, and accessories for a wide range of brands. It boasts a large inventory of zero-turn mowers, commercial lawn equipment, lawnmowers, lawn tractors, trimmers, blowers, generators, pressure washers, pole saws, sprayers, chainsaws, and more. Vanguard Dental is a full-service dental practice specializing in same-day crowns, dental implants, root canals, bridges and dentures, Invisalign, and cosmetic dentistry. Wanczyk Nursery has been a premier plant grower in the Pioneer Valley since 1954. The family-owned business offers many kinds of trees, shrubs, bushes, and flowers. WEBBER & GRINNELL INSURANCE AGENCY INC.
Webber & Grinnell’s roots can be traced back to 1849, when A.W. Thayer opened an insurance agency on Pleasant St. in Northampton. The agency offers automotive, homeowners, and business coverage, as well as employee benefits.